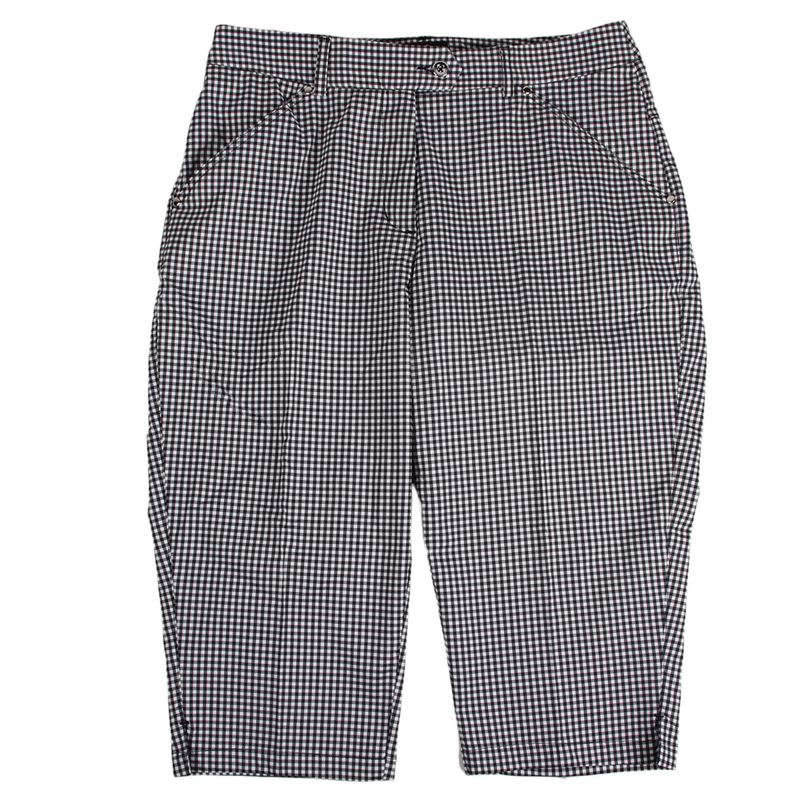 Perform at your best with the Palm Grove Check Capri Ladies Trousers. 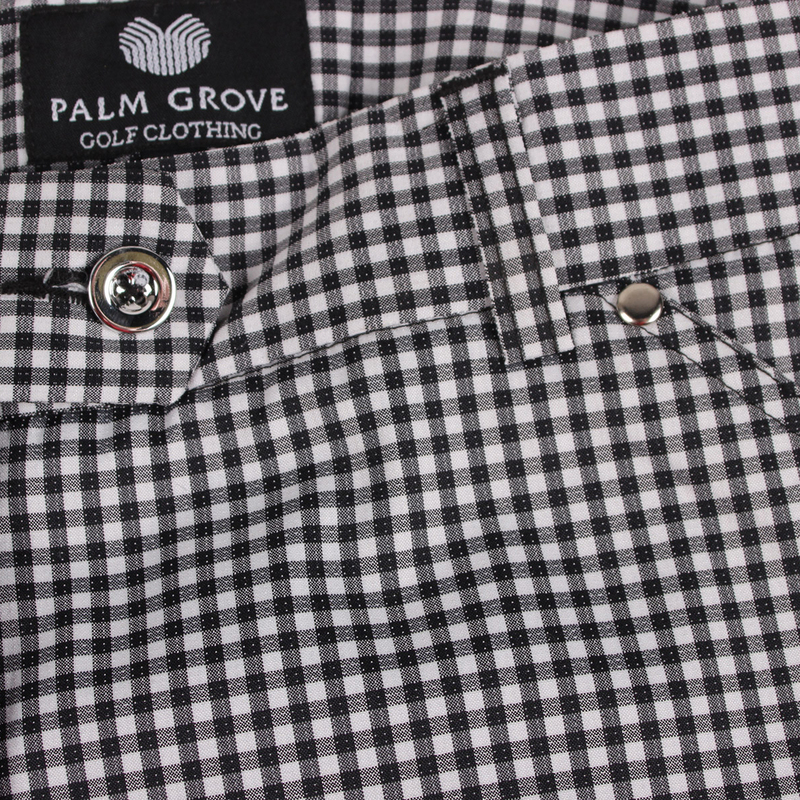 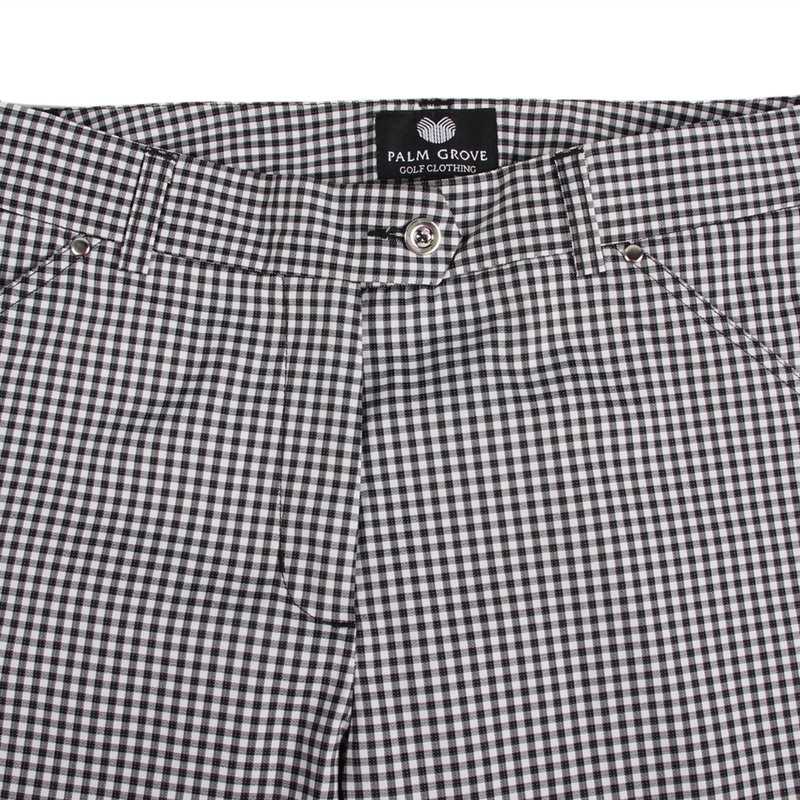 The trousers are 3/4 length and have a beautiful check pattern with chrome finish buttons and a zip opening. 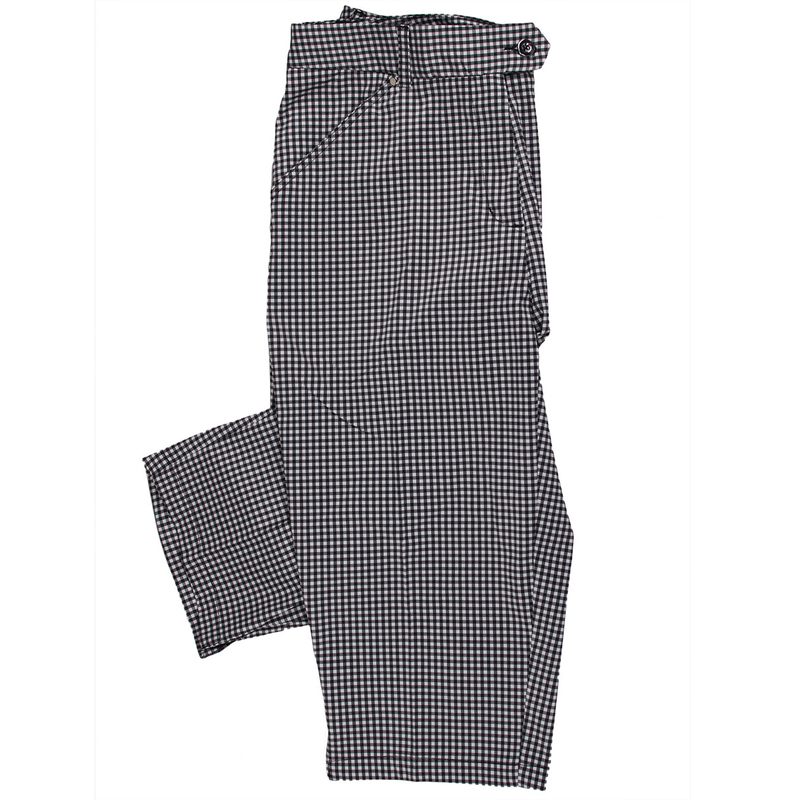 To assist you round the golf course the trousers have 2 front and back pockets which will provide more than enough room for all your small accessories. 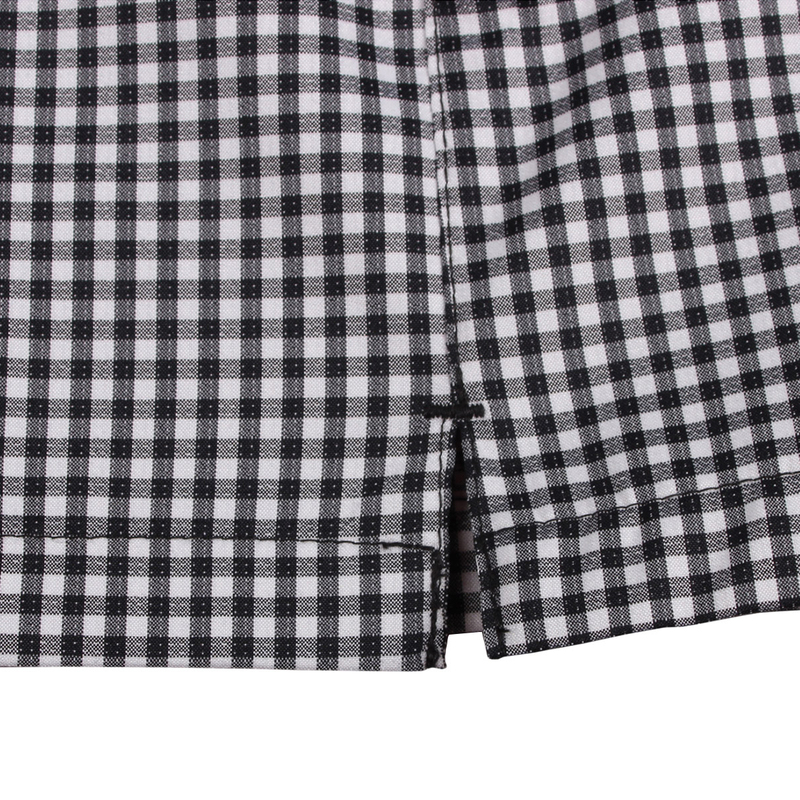 The trousers have a stretch fabric to ensure freedom of movement when you swing and to add maximum comfort tour slits at the bottom of the hems.